In teaching individuals and businesses about managing emotions, Cynthia consistently utilizes proven techniques and specific tools. As a result, overall productivity, job satisfaction and interpersonal relationships improve. After 15 years of working in the world of business, accounting and sales, Cynthia saw her life change dramatically when she was widowed at the age of 30. 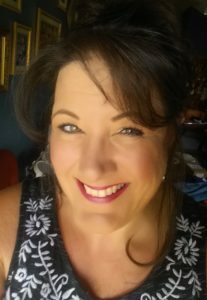 Shifting from surviving to thriving, Cynthia began rebuilding and reinventing herself and the direction of her life while adjusting to being a single parent and the sole provider of her family. It wasn’t long before Cynthia received her calling to serve others. The combination of optimism, empathy, and communication skills empowered her into becoming the visionary and founder of a 501(c)(3) nonprofit mentoring men and women who had lost their spouses much too early in life. During that decade-long work, Cynthia became an expert in the grief and mourning process while earning her certifications in Christian Grief Coaching and JOY Restoration Coaching. Additionally, she has been trained by American Foundation of Suicide Prevention, American Academy of Bereavement, and Center for Loss and Life Transition. Cynthia was nationally recognized by Parade magazine and Living the Life, an ABC Family TV Show, for her excellence in coaching and in mentoring fellow widows and widowers. Locally, she has been the recipient of the WAVY TV “10 Who Care” Award and the WTKR Community Star Award for her accomplishments in giving back to the community. In balancing career and family, Cynthia has seen her personal life include a learning curve on single parenting. Raising children who live with mental health disease, behavior/emotional disorders, and Down syndrome, Cynthia has frequently utilized the same coping and thriving techniques she teaches in order to maintain her own sanity. These challenges throughout the years led her to gain certification as an Anger Management Facilitator and to author her first book, soon to be published: The Chronicles of a Widowed Mom, GONE MAD! She created the PAP (patience, acceptance, perspective) technique that, along with the practices of positive psychology, has become her signature foundation and style of coaching and consulting. Today, Cynthia continues to evolve in personal leadership and growth, offering services that guide individuals and companies toward emotional intelligence. She is a Certified Emotional Intelligence Coach and is licensed through MHS Multi Health Systems to administer and train on the EQ-i2.0 | EQ360 assessment instruments. Cynthia continues to advocate for mental health and suicide prevention awareness through her involvement with NAMI (National Alliance of Mental Illness) and AFSP (American Foundation of Suicide Prevention). She is an active member of the Down Syndrome Association of Hampton Roads and Special Olympics of Virginia. She has served on the Board of Directors as Vice President for the NAPW (National Association of Professional Women) Norfolk Local Chapter and a term for each Vice President and President for ACHI Women Supporting Women Association, Inc., Hampton Roads Chapter. She remains passionate about helping individuals discover greater self-awareness and better self-management. Contact Cynthia today at 757-635-5379 to learn how she can help you identify your current level of emotional intelligence and incorporate positive choices to live a healthier and happier life.